Guru Rig Box. This new compact Guru rig-storage solution is just the thing for the angler who likes to be prepared. 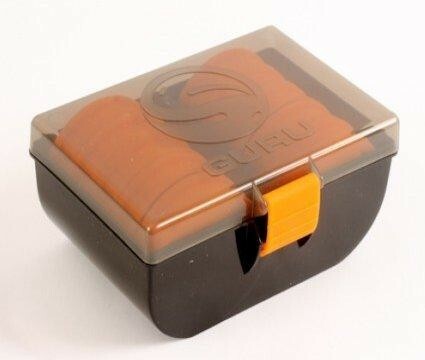 It’ll help you to store match, general coarse and even carp rigs safely until you need them. The tough, impact-proof storage box houses 10 EVA spools and comes with 20 pins to secure the rigs to the spools.